Towels are available at £4 per person per week to be paid on arrival. This property welcomes one dog only. 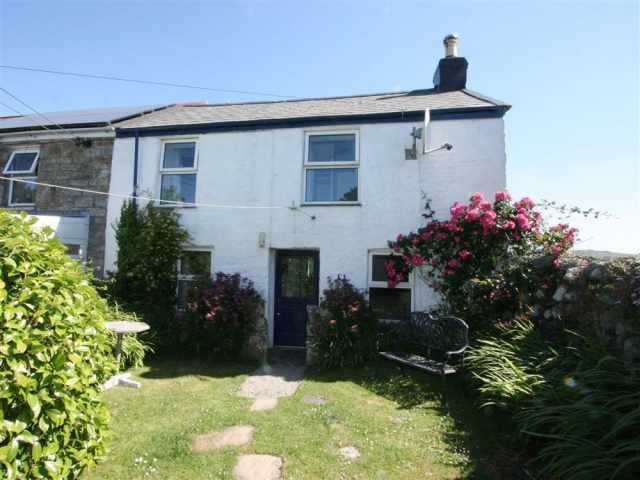 With sweeping views of the sea and coastline across to Looe Island, Ahoy the Slip is the entire lower ground floor of a 19th century detached double glazed house set in a quiet elevated position directly above the lane leading down to the beach 150 yards away. All the village amenities, including a shop/P.O., pub overlooking the beach, coffee shop and restaurant, are just a couple of minutes walk down the hill. 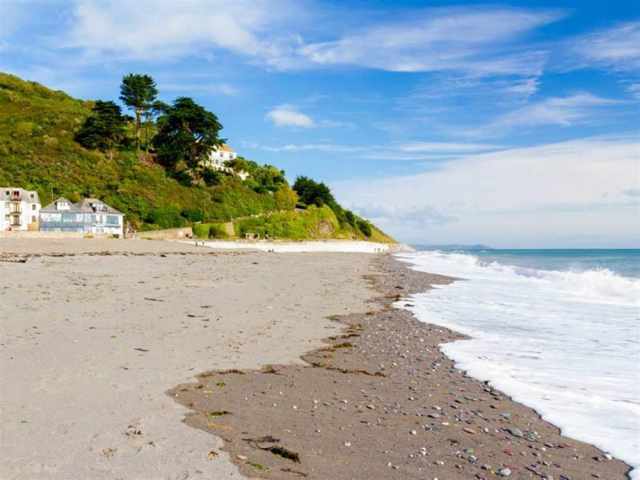 There is easy access onto the sand and shingle beach with rock pools just 150 yards away, and the twin village of Seaton, one mile along the coast has a large sandy beach located at the bottom of the beautiful Seaton Valley. Both beaches are currently all year dog friendly beaches. A community bus service operates within the local area, there are several golf courses nearby and the attractive fishing harbour at Looe is about 8 miles away. At 'Bake Lakes' less than 2 miles away there is an opportunity to do fly fishing. Approached by a narrow private road, a flight of walled concrete steps (49 in all) lead down from the parking layby above, to a small south facing patio which fronts the self contained apartment and catches the morning sun. Two steps lead up to the front door which opens to a hallway and to one side is a comfortably furnished sitting/dining room with panoramic sea views, a warm rug on the wooden floor and a sofa bed for alternative sleeping arrangements. At the rear of the living room, a door leads through to a neat kitchen with modern fitted units and beyond is a fully tiled wet room with W.C. hand basin and walk in shower area. On the opposite side of the entrance hall is a bright and spacious bedroom with a 5ft double bed and magnificent sea and coastal views. Accessed via the master bedroom and also from the garden, a door and one step leads up to the second bedroom at the rear of the house with two single beds, an en-suite shower room W.C. with hand basin and wide shower cubicle, and a patio door leading out to a small lawn for the exclusive use of the visitors. Young children and pets will require supervision outside as the grounds are not enclosed. There is visitor parking for two cars on site.